I love a good scrub. After a long day, I love to use a facial scrub to pamper my face – and a body scrub to slough away all those dead skin cells! And to top it off, I love a polishing lip scrub to smooth my chapped lips. 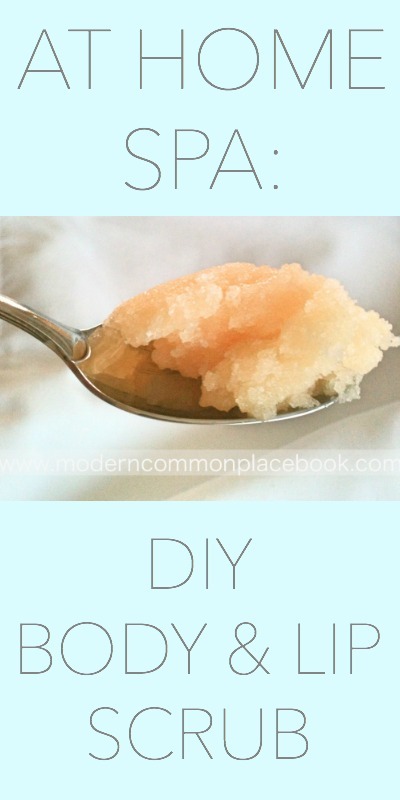 I am so happy that I have found one homemade recipe that can be used on lips, face and body. And, it tastes so good, that I almost want to eat it out of the jar! I use the recipe from Pink Pistachio – and I give her all the credit! See her site to learn how all the ingredients improve your skin’s health! Mix and adjust ingredients until a right consistency. Rub in circular motions on your lips and face, and use with a terry washcloth on your body. Rince and moisturize! Your body will love you! Disclaimer: Please do not over-use this scrub and rub your skin raw! Store leftovers in the fridge. Also, I don’t recommend using this scrub before self-tanning unless you remove all the coconut oil from your body! The oil can prevent the tan from taking.